So you just decided to invest in an Interrail or Eurail pass. Consequently, a few hundred dollars vanished from your bank account with a single click. Are you second-guessing your decision? At the start of July 2016, I was standing in your shoes. I had just bought my Interrail pass (5 travel days within 15 days to be specific). Before I set out on my trip, I constantly wondered: would the pass be worth it? Regardless of which pass you choose, an Interrail/Eurail pass is quite a splurge. In fact, if you’re on a really tight budget, it’s not actually the most affordable way of getting around Europe. However, the flexibility the pass offers is unparalleled by any other mode of transportation. Oh, and if you want to know what I thought about my Interrail splurge and adventure: Yes, it was worth it, and I would buy the pass again. *This post will focus on using Interrail’s/Eurail’s most popular and cheapest global passes. Nevertheless, even if you choose to buy a pricier pass with more travel days or a one-country pass, you will find some useful tips below. If you’re not quite sure what Interrail/Eurail passes are and how they work, click here to find out more. The following 11 tips outline a foolproof way of getting the most out of your Interrail/Eurail pass. Downloading Interrail/Eurail’s Rail Planner app is the very first thing you should do. 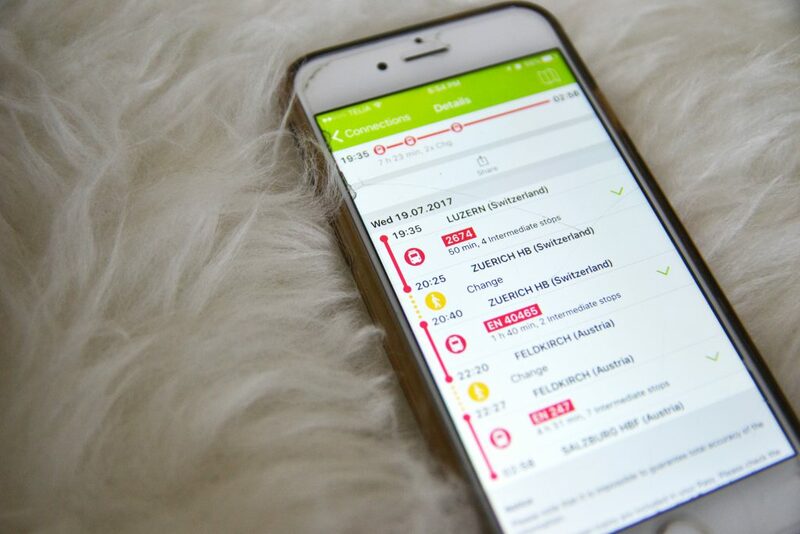 This app enables you to easily look up train schedules and routes across Europe without any wifi or data. You’ll also be able to see which train journeys require reservations. Additionally, this app tells you about benefits and discounts you have access to with an Interrail/Eurail pass. I recommend downloading this app onto a device you feel comfortable using in public, since you will end up using it A LOT. Rail Planner app Loading Screen. Travel days are 24 hours long. They begin at midnight and end at midnight. They do not begin when you decide to hop on your first train of the day and expire 24 hours later. With many different transportation services operating on different principles (mostly when it comes to European public transportation), I thought this would be important to clarify. Planning on taking a night train? Be aware of the 7:00 pm rule. Basically, if you take a night train that leaves a station after 7:00 pm and arrives at its final destination after 4:00 am, then you only have to use 1 of your travel days instead of 2. Keep in mind that the night train also has to be a direct train. If you’re using the Interrail global pass, you will have a limited number of journeys in your country of residence. It’s usually one outbound and one inbound journey. There is a very high chance that you will have to make train reservations in advance (if you want to make them through Interrail or Eurail’s reservation service). Unless you have a Premium Pass, you will have to pay extra for these reservations. To check if a train journey requires a reservation, download Interrail/Eurail’s Rail Planner app and search the journey. If an “R” with “Reservation Compulsory” shows up underneath the train, you will have to make a reservation. You can make reservations closer to your desired date of departure too. For trains in Italy, trains in France (domestic TGV and Thalys), and Eurostar trains, you can make reservations through the Rail Planner app. You can make other train reservations on the phone, occasionally online through a national railway company’s website, or at the station. If you have to make reservations on the phone or at that station, you can expect some queues. This third tip also sounds easy enough to accomplish: you open up the Rail Planner app, search the trips you want to take, and then you make sure that it can all work out according to your number of travel days. Formulating a possible itinerary is straightforward (hopefully), but extremely important if you want to make the most out of your Interrail/Eurail pass. If you’re dreaming of hitting up some famous cities that are countries apart, testing out your potential itinerary could help you figure out that you may need more than one travel day to reach your destination. I’m somewhere in the Netherlands, and I want to go to Rome. Depending on the train I take, it could take over 22 hours to reach Rome Termini from Amsterdam Centraal. In a situation like this, super analytical me would ask myself: do I want to spend 2 travel days on this journey when I still have a handful other places I want to visit? How many reservation fees will I have to pay? Is there another, and maybe faster way of getting from Point A to Point B? Do I want to end up possibly spending nearly 70% of my time in Europe on trains rather than out and about? …so a potential itinerary can also help you figure out whether or not your train trip can work out according to your standards and expectations. 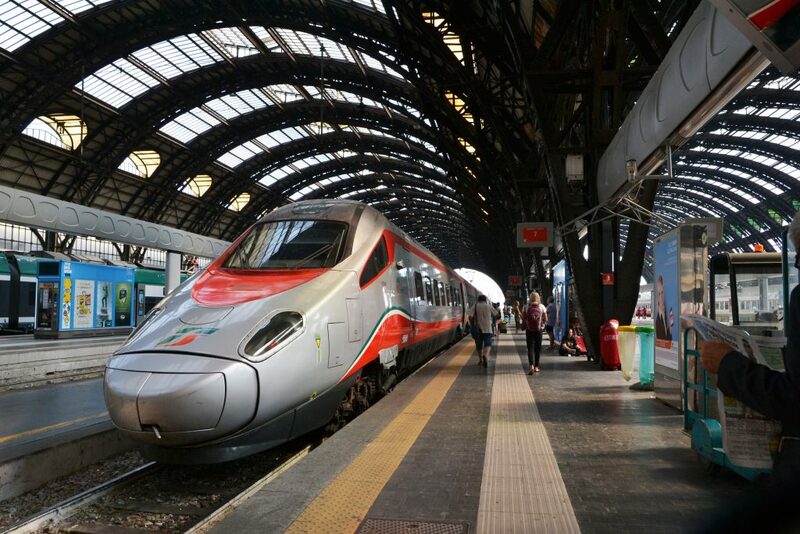 Of course, you don’t have to stick to your itinerary, but it can give you a bit of insight about how you will be able to use your pass and the layout of European train routes. All in all, planning a potential itinerary can help you figure out if it’s even possible to get to your dream destination by train (FYI There are no trains to Dubrovnik). So many destinations to choose from! When travelling by train in Europe, you will have to change trains more often than not in order to reach your destination. Fortunately, every journey looked up using the Rail Planner app will tell you how many times you will need to change trains and how much time you have to swap trains. If you’re on a schedule, always double check that you have enough time to switch trains. Sometimes, the amount of time you have may be less than 10 minutes (I’m looking at you, Sweden!). Keep in mind that trains can run late, and the next train you need to catch may be standing at a platform on the opposite side of the station. If a situation like this concerns you, take a look at the some of the train journeys earlier or later that day – the schedules may not be so tight. Alternatively, search each leg of the journey separately. That being said, it’s also a good idea to check out transfer times if you want to maximize the amount of time you have at your various destinations. With some Rail Planner app research, you may be able to avoid spending over an hour waiting for a connecting train at an isolated station in the middle of nowhere. 15 minutes to swap trains in Zurich in order to catch a train to Salzburg. Maybe I’d like a bit more time to change trains in Switzerland’s largest city? If you purchase one of Interrail/Eurail’s cheaper global passes, your travel days are few and precious – especially when they’re compared to the number of days your pass is valid for. 5 travel days within a 15-day period? Only allowed to travel on 7 days in a month? If you’re lucky enough to spending a month in Europe, you’ll probably be visiting more than 7 places. Therefore, save your travel days for your longest train trips. You’ll be getting more value out of your pass. (This is also when having a rough itinerary in your head is helpful since you’ll have an idea of which trips will be the longest). Generally speaking, if you are opting to buy a couple of train tickets on top of your pass, a 5-hour train trip is usually going to be more expensive than a 45 minute one. This tip is ideal for journeys that do not require a reservation. And there are plenty! Got a 5-hour train trip on your agenda today? Chances are that you’ll be covering a lot of kilometres and passing through some exceptionally beautiful destinations. Check out where your train stops using the Rail Planner app. If you don’t immediately recognize some of those towns or cities, look them up. Do any of these places intrigue you? Hop off the train for a couple of hours, explore the location, and catch a train to your destination a few hours later. Instead of using your travel day just to get from City A to City B, you’ll also get a taste of City C and maybe even City D.
I followed this piece of advice on my Interrail trip last year. 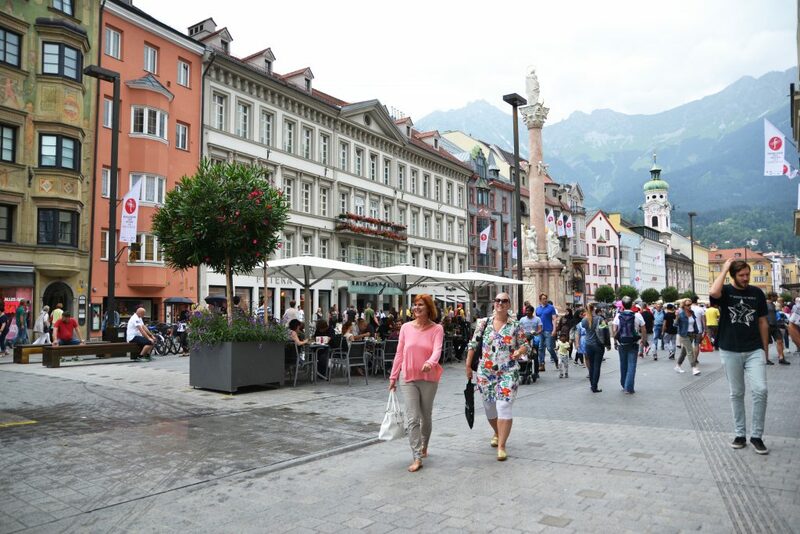 On my way from Lucerne to Salzburg, I hopped off the train in Innsbruck and explored the stunning Alpine city for a couple of hours. Look at the photos below! Wasn’t it worth it? View across the Inn River. With a small number of travel days compared to the duration of your trip, you may need to take a few additional journeys if you have ambitious travel plans. As mentioned earlier, train tickets for shorter distances are often cheaper than ones for longer distances. If you have to add on an extra day of travel, spend some extra money on the 1-hour journey instead of the 6-hour one. Nevertheless, if you plan on using one of your travel days for a super short journey, and the Rail Planner app tells you that you also need to make a reservation (extra $$$), look up the cost of the ticket on the relevant railway company’s site. If it’s cheap, buy it and save the travel day for another day…especially if you haven’t set your itinerary in stone. That 30-minute train at Milano Centrale. If you can’t fit all your desired trips into your travel days and independently purchased train tickets aren’t an option, consider looking into other forms of transportation. Europe has a well-developed bus network, and there are also hundreds of daily budget airline flights. In fact, if you happen to find a good deal on a flight, you will also get to your destination faster and have more time to explore it. Sometimes, due to pricey reservation fees, it may even be worth it to substitute a flight for a train trip and save a travel day for another place and time. Example: my flight from Warsaw to Milan was less then €40. In order to get back to Warsaw from Vienna later on, the night train reservation and booking fee paid on top of the pass was €39 Euros. The Rail Planner app has a nifty little section called “Pass Benefits.” I guess this part of the app is Interrail/Eurail’s way of acknowledging that their train passes aren’t the cheapest. It seems like you can reap some rewards for using their service. In this section of the app, you can take a look at what benefits and discounts you are entitled to as a pass holder. Benefits and discounts depend on the country you’re in. 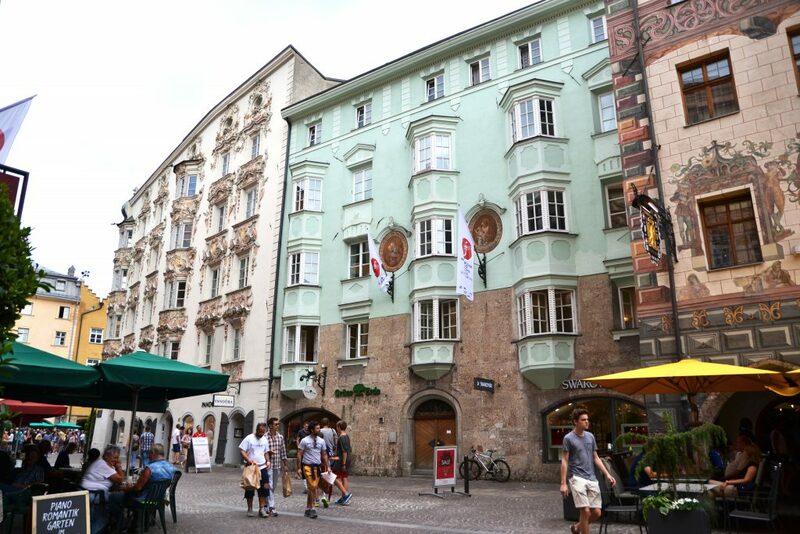 They can include discounts at hotels, hostels, on ferries, public transportation, and museum entrance fees. Of course, you can also look up Pass Benefits online. 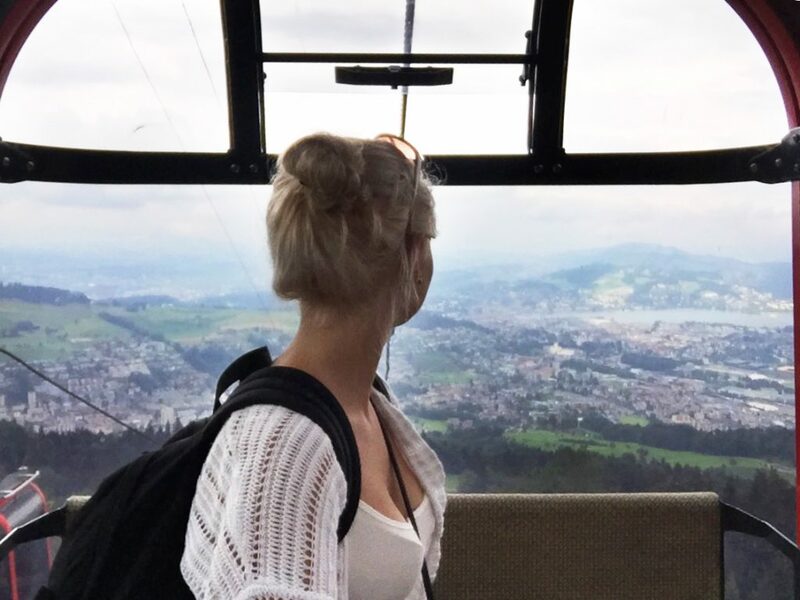 During my Interrail adventure, I managed to get 50% off a gondola ride at Mt. Pilatus. You may already be well aware that on top of what you paid for your pass, you may have to pay a little more in the form of reservation fees (+ booking fees if you make your reservations through Interrail/Eurail’s reservation service). Reservation fees usually apply to high-speed and night trains. If you want to save your money, keep in mind that regional trains don’t usually have reservation fees. These trains typically follow the same routes as high-speed trains, but take a little longer to reach their destinations. And hey, a slower route can end up being a more scenic one! Flights, buses, hostels, hotels – when it comes to travelling, almost everything is cheaper when booked in advance. Using your Interrail/Eurail pass is no exception. Some trains that require a reservation have a specific number of seats set aside for Interrail/Eurail pass holders. If you wait too long, you may not get a spot. By that point, train, flight, and bus ticket prices may be significantly higher too. Whenever you can, make bookings in advance. Trains reservations can be made up to 3 months in advance through Interrail/Eurail. In all honesty, I can’t believe that a year has already passed since my Interrail adventure. I can still picture the train zipping around the Alps and beside mountain lakes as if it all happened yesterday. Since my Interrail trip was also my first solo trip, I wanted to mark the 1-year anniversary in some way. (Yes, I will celebrate anything and everything). So what better way to celebrate the passage of 365 days than with a blog post! Did you find these tips helpful? As a budget-oriented traveller, I want to make sure that you get your value out of the travel services and bookings you make. 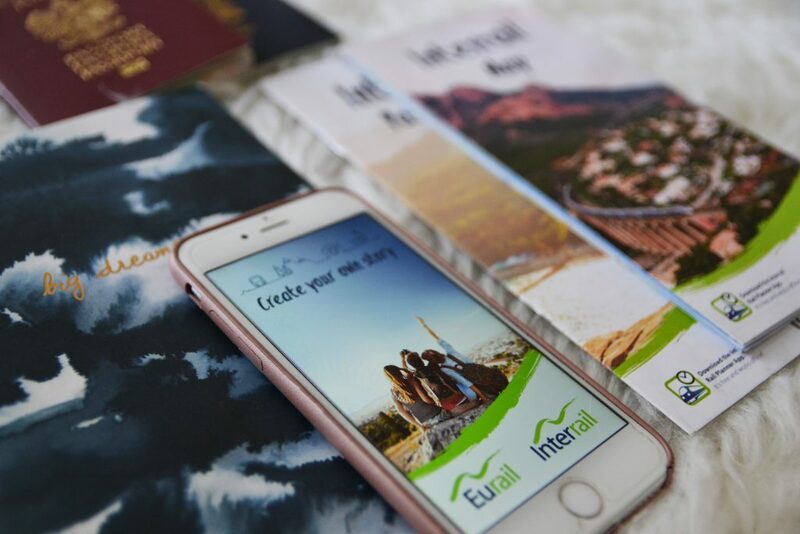 To help you figure out if an Interrail or Eurail pass is right for you, I’ve made this 8-step printable guide and worksheet. You can request to download it below! Worksheet Tip: Open up links to Interrail or Eurail site pages before printing. 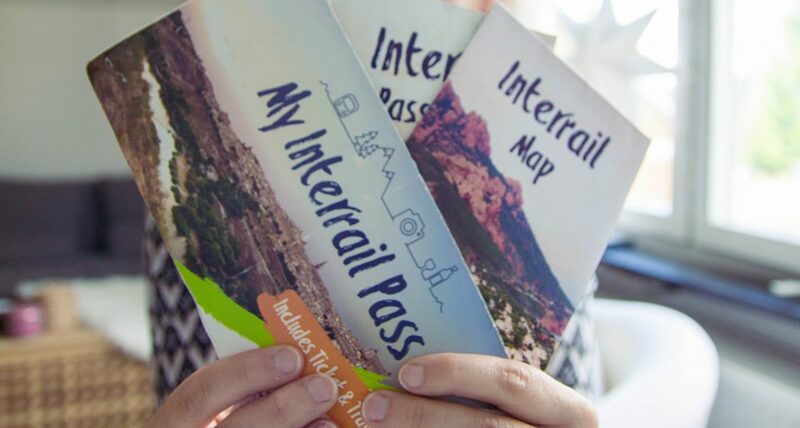 Have you ever used an Interrail or Eurail pass? Thinking about buying one? Share your thoughts and experiences in the comments below! This post was written and published in July, 2017. For up-to-date information about Interrail/Eurail passes and practices, please visit https://www.interrail.eu/en or https://www.eurail.com/en. Haven’t used the Eurail pass in years and am thrilled that there is now an app to help you manage it. All the rules were stressful to make sure you got everything just right. This list helps a lot! Thanks so much for the feedback! It’s really easy to end up spending a lot more than you planned on with these passes, so I wanted to do what I could to help! This is such a helpful guide for planning a Eurotrip! I think the Euro-rail is the best way to get around – and way cheaper than flying! It definitely can be a great and efficient way of getting around! Happy to hear that you found the post helpful! What a great list! I’d never heard of the app before, and some of these tips are so clever! Thanks! Thank you! I am happy to have been able to introduce you to the app! Even if you’re not travelling on an Interrail or Eurail pass, the app is super useful for looking up all sorts of train schedules in Europe! There are so many new rules! I used a Eurail pass ages ago, and it was a lifesaver, but there weren’t apps or travel diaries to fill out, etc (that’s how long ago it was). I did manage to take advantage of those night train rules — saved loads on hotels that way, though I can’t say the sleeping was great. 😉 Looks like you can really get the most out of one of the cheaper passes if you plan well! There are definitely many things to keep in mind when using an Interrail or Eurail pass nowadays! But, fortunately, you can still take advantage of night trains! I did as well and I agree with you about the sleeping situation. Thank you! I’m happy to hear you found it useful! Thank you for your comment! The app can be super helpful even if you don’t have a Eurail pass but will be taking a couple of trains in Europe (no login is needed). Thank you! Happy to hear that you found it useful! Sounds like a really smart strategic purchase. I love the idea of hopping off at the smaller places in between destinations – that way you’re seeing more than just the typical visitor areas! Definitely! And you never know what you’ll discover! These are great tips! We’ve generally found it better to buy individual train tickets since we limit ourselves to staying in 3-4 places over the course of a few weeks. But for a trip with lots of stops, the passes sound indispensible! I agree – you definitely get more for your money when you plan for a lot of stops! When I was younger I always desired to do an Interrail, but unfortunately, I found always terribly complicated and too much strict the rules to realize it. Finally, now I can do it without too many complications and with your tips it gets easy! Thank you very much! Thank you! So happy to hear that you found it helpful! I have never used Eurail pass. But I think this is a great and such fun way! Thanks for sharing! I would like to try this soon! Cheers! Thank you for commenting! It definitely is a fun way of getting around Europe! Wow. This is so timing. 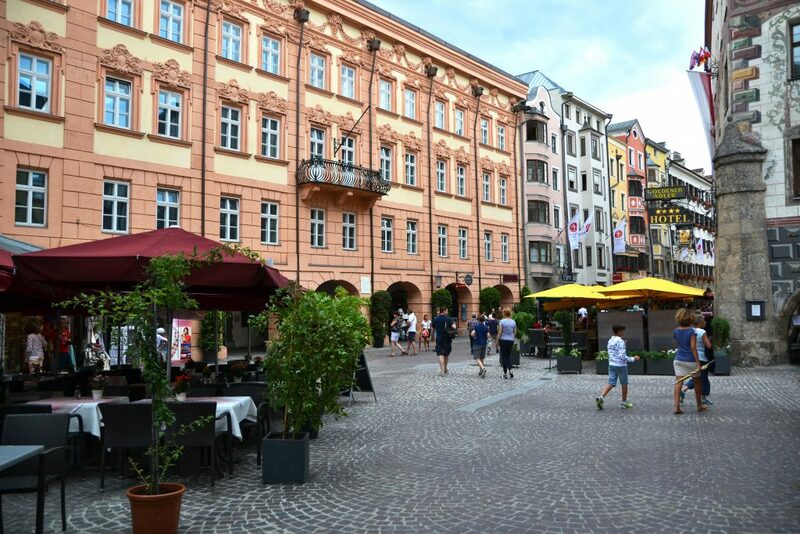 My family is planning a trip to Europe soon and these tips could really come in handy! Thanks for sharing them! I hope you and your family have a great time! Happy to hear the tips helped! Good tips here, especially about using the pass for the days of longest travel. Some really nice pics too. Thank you! There are many “failed” photos behind those including me. Some great advice here! I’ve never tried Interrailling but I’ve always wanted to. My brother and his girlfriend are doing it next month so I’ll pass this post on to them! Thank you so much! I hope you get the chance to! I’ve been dancing around the idea of getting an Eurail Pass for me and hubby for a while now. Your plan seems to be easy and makes sense, so we should start planning our trip, after all we decided to spend more time in Europe so time to start! Even just a basic idea of the countries you want to visit can help! You can play around with searching popular journeys between those countries on the app, so you know where the reservation fees may pop up. Wow these tips are sooo useful! Planning my interrail trip for October and was looking for the best way to do it! Kind of wanted to plan it on the road but you might be right that it’s better to plan everything in advance. Also love the idea of getting off the train on long travel days and explore a place you wouldn’t usually go to! Awesome blog! Thank you so much! As long as you think of a general route to take or pick a couple countries of interest, you’ll be fine. It’s useful to know where possible reservation fees may pop up if you’re on a budget. If you just keep those routes in mind, you can wing the rest! Thanks for sharing the info. Recently came across this site called than man in seat61, its all about train travel. I think I have come across it too! I will go back and check it out! Thanks! Wow! 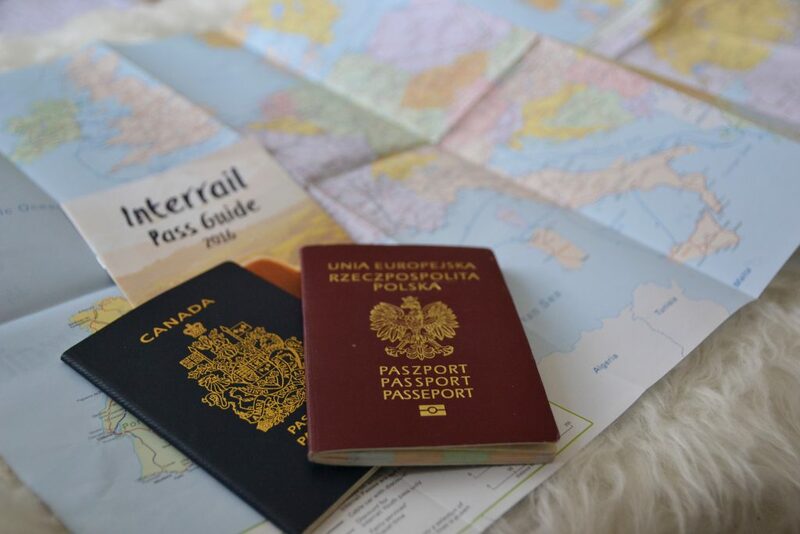 I can tell you really put a lot of time and effort not only into your travels, but into this post and making it clear for everyone how to use the interrail pass! I’m a Type A, organized type of traveller so this is so helpful! Definitely! I really need to watch my budget when I travel, and that ends up taking some careful planning. I hope the lessons I learn can make travelling easier for other budget travellers! I always wanted to go interrailing properly (more than just through 2 countries like I’ve done before) – and hopefully I’ll get to do that at some point soon. I’ll bookmark this post for later. Thanks for sharing these great tips 🙂 they’ll sure help me save a few bucks! This is a thorough and well organized post on train traveling through Europe! I’ve really enjoyed going through the post as I also love to travel by train – you can really see alot by this mode of transportation! Thank you so much! Definitely – hundreds of spectacular views to experience! This is so helpful! I particularly like tip 9… would never have thought to look on the app for discounts like that! Thank you! Every country offers different benefits, but some countries have really awesome ones! Always helpful to double-check! Very informative and useful! Especially for people who hate flying! Any favorite stops? There are so many amazing places to choose from! 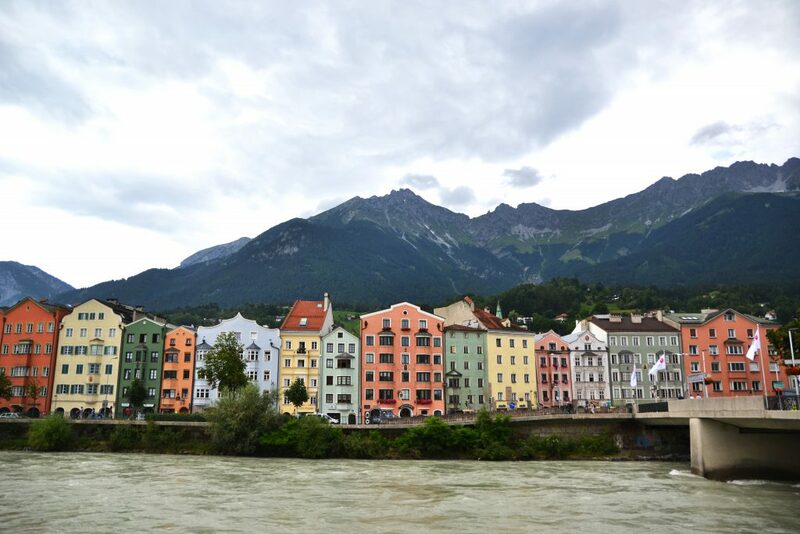 My trip involved stopping in Milan, Como, Lugano, Lucerne, Innsbruck, Salzburg, and Vienna. I really enjoyed taking the train from Northern Italy up to Switzerland because the views were absolutely exceptional. I was also surprised that you don’t have to make train reservations too often in Switzerland. What an informative post! You’ve thought of everything. I’ve never been interrailing but the app would be excellent for anyone who was planning multi-destinational travel. I’m getting the train from Zagreb to Ljubljana in a few months so will check it out for that. Thank you! I tried to be as thorough as possible! For travelling in Croatia, check out their buses (ex. Autotrans). I’ve heard they’re more efficient than the trains. I’ll be in Croatia in a few weeks, so I can confirm this in the future. Great photos! Thanks for sharing these tips. Last time we were in Europe we took the train from one area to the next. Thank you! Did you enjoy your experience getting around by train? I’ve never used one but am really thinking about it after reading your info. Sounds like a much easier way to get around! Thank you! I hope it works out for you! I travel around europe all the time and have never really considered a eurorail pass. But this guide is so helpful and easy that it makes me want to check it out and see if I can get my moneys worth!! Thanks!! Awesome! I definitely think you can get your money’s worth out of it with some planning! It definitely is a great way of discovering places that are off the beaten path! And yes 🙂 Polish and Canadian. I traveled by train in Europe almost 10 years ago and it was definitely difficult to navigate. Thanks for all these helpful tips (and so glad there’s an app), it makes me excited to try train travel again. Pinning for my next long journey through Europe! Thank you so much! I’m happy to hear the post helped, and the app is really handy! This is so illuminating! For a first timer this is golden. Thank you! This is a really useful guide! I’ve travelled in Europe a lot but mostly by flying or bus. I’ve taken the occasion train and wondered if a pass would be worth it for a longer trip. Sounds like it can be! Thank you! With some careful planning, it definitely can be! Thank you for this post! Loved the photos and so much useful info! I’ll be heading to Europe this fall and will be sure to reference this! That’s really great to hear! I hope you have an awesome trip! What’s the name of the app that needs no wifi? I tried to down load the app “rail planner’but it shows Loco2 trains made easy. Hi! Thanks for your question! When I search it in the app store, the exact title is: Rail Planner Eurail/Interrail. The tech company behind it seems to be HaCon Ingenieurges.